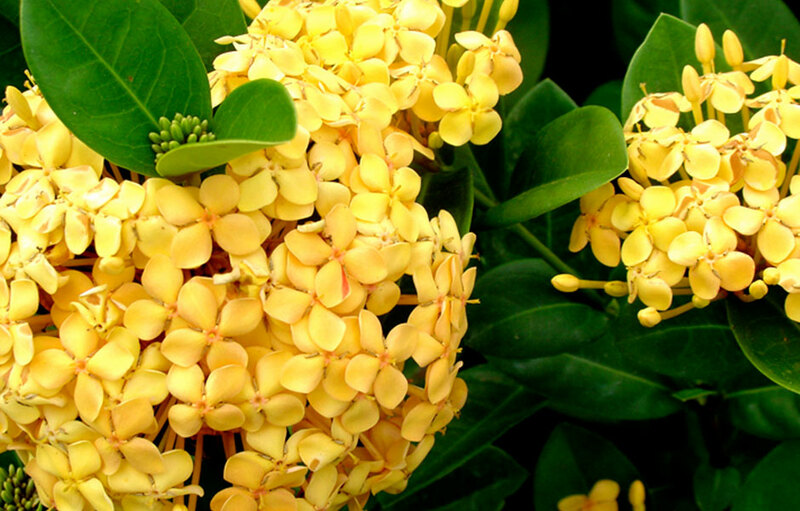 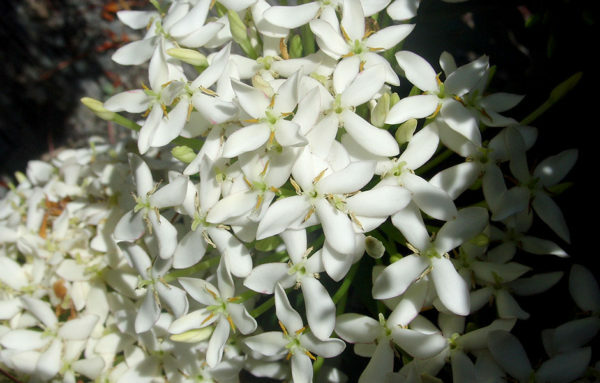 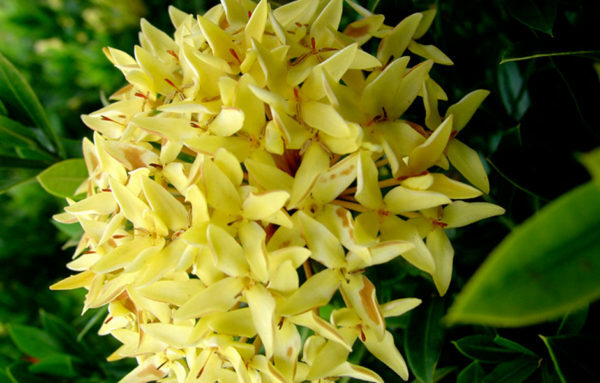 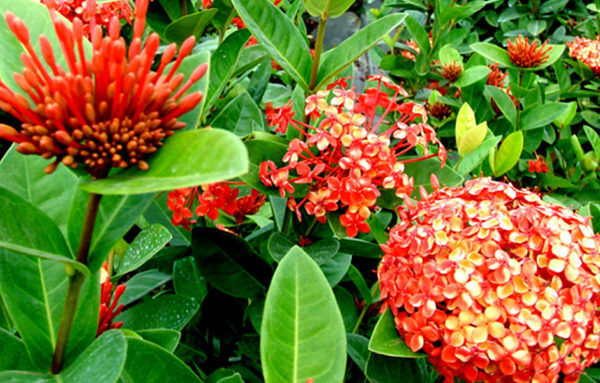 Ixoras are popular among gardeners because of its flashy flower clusters. 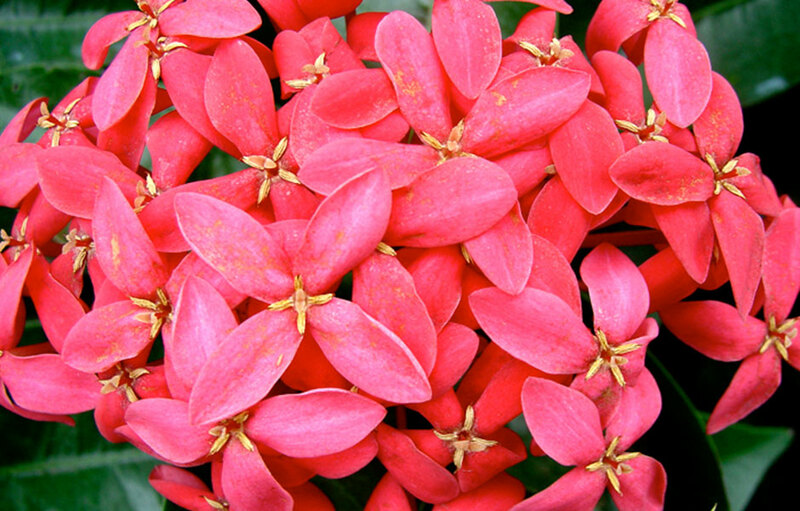 The attractive leaves are characteristically leathery and glossy. 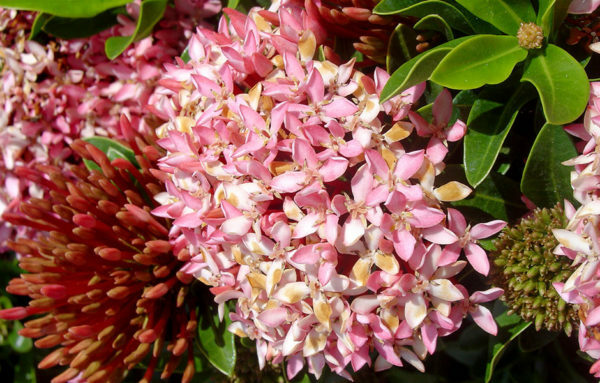 The flowers appear in groups, which are produced at the end of branches. Each cluster may contain up to 60 individual flowers. These are very small and tubular, with four petals, and comes in a variety of brilliant colors like scarlet, orange, yellow, and red. 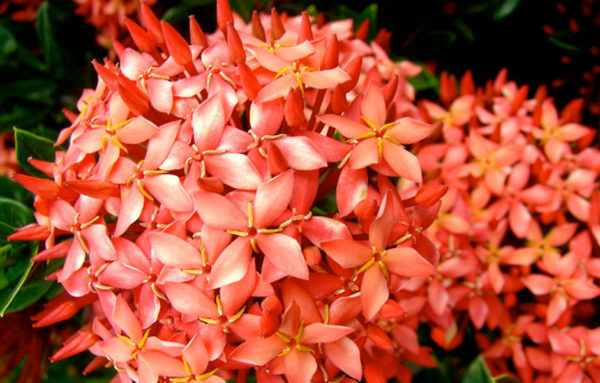 Common Names – viruchi, rangan, kheme, ponna, channtanea, techi, pansantan, jarum-jarum, jungle flame, jungle geranium, among others.